With the implications that being a woman had at the time set firmly in our consciousness, we know that those of us who devotedly love fashion of the past and present are brave enough to go full lady from time to time. 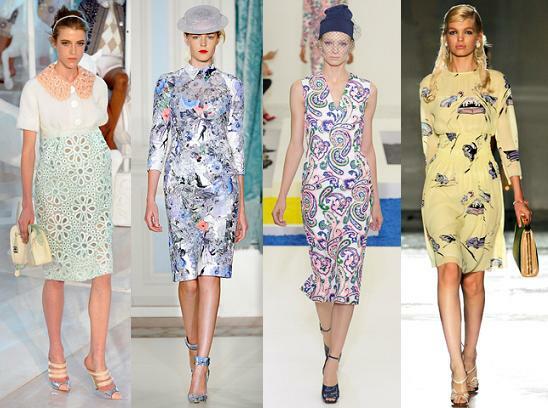 The runway looks are lovely, but a bit out of our reach, and what could be a better substitute for vintage revival than the real thing? We have paired up a few of our favorite designer pieces with some vintage garments from Etsy to inspire you to create your own modern take on the mid-century mademoiselle. 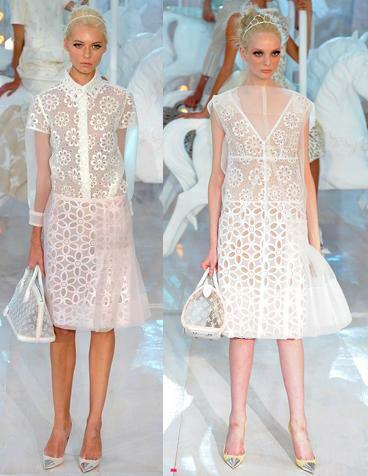 Louis Vuitton was certainly the sweetest collection we saw – ice cream parlor hues with an abundance of eyelet and twee flowery frocks. To wear anything like this on a normal day, we would pick one super saccharine piece, and balance it with tougher accessories and seriously stylish shoes. Keeping things modernly sleek and shiny will maintain the stylish springtime vibe! Jil Sander feels to us to be the most wearable collection that we’re featuring. 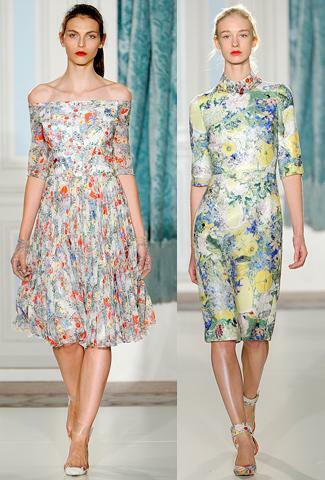 It tends towards the later 50’s and 60’s, and many of the looks have the timelessness of Grace Kelly about them. 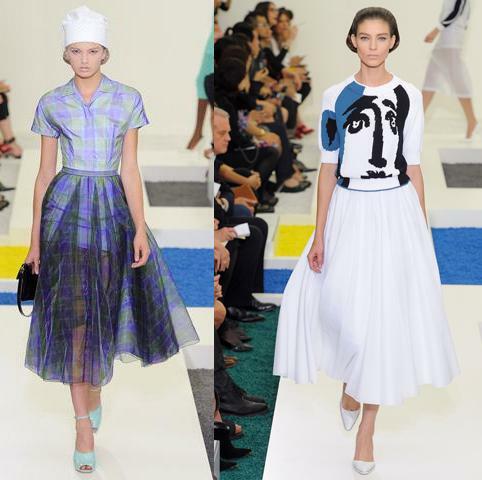 The full skirts were what really had us impressed – an incarnation of Dior’s ‘New Look’ which adds instant glamor to any outfit of today. A circle skirt is easy to wear, so pick one that strikes your fancy and try it out with multiple combinations of tops and accessories! 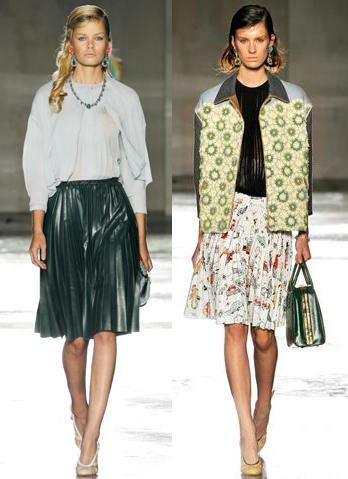 Prada stunned us with all of the fun of retro kitsch, and none of the stuffiness of the authentic styling of the times. Leather, pleats, amazing handbags, and a quirky car print give what is ultimately a feminine collection an overtone of toughness and brass. Getting the look for yourself is easy – after all, combining something prissy with a little rock-and-roll edge is what wearing vintage today is all about! 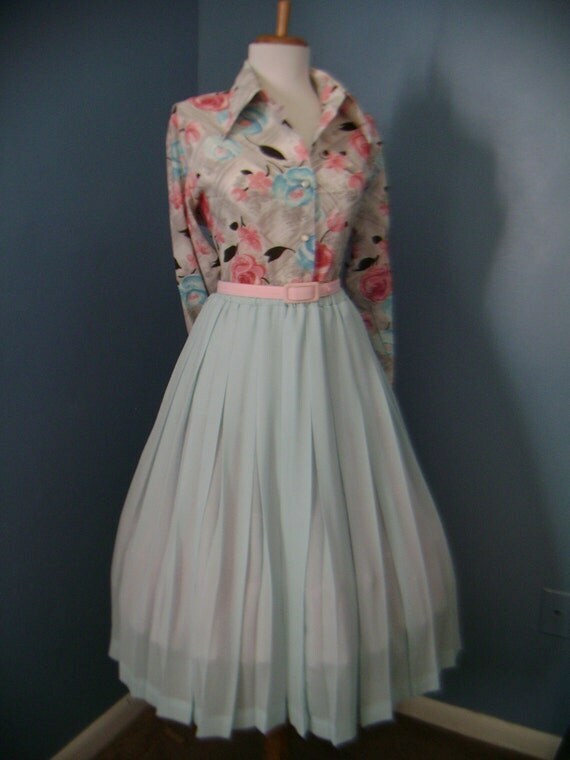 Hopefully you’re feeling inspired to work your own authentic vintage look for spring! Get dressed, and if you’re in a sharing mood, do post a picture of your best look for us! Love your blog! Thanks for stopping by and following mine! !